Aftershocks from the college admissions scandal continue to rumble at Stanford University where a student's admission has been rescinded due to a link to a $500,000 donation to the school's sailing team. Kris Sanchez reports. Stanford University has rescinded the admission of a student who allegedly lied about sailing credentials in her application to the elite school and was then found to be linked to a $500,000 donation made to Stanford’s sailing program. The university said in an update on its website that the student was accepted to Stanford based on "fabricated sailing credentials" even though she was not recruited through the normal athletic process and never participated on the school's sailing team. After she was admitted, a $500,000 donation was made to the university's sailing program through former sailing coach John Vandemoer, who was fired last month after pleading guilty to racketeering charges, according to federal court documents. The money came from a foundation run by William Singer, the alleged mastermind of a national college admissions cheating scandal. Vandemoer is set to serve an 18-month prison sentence. 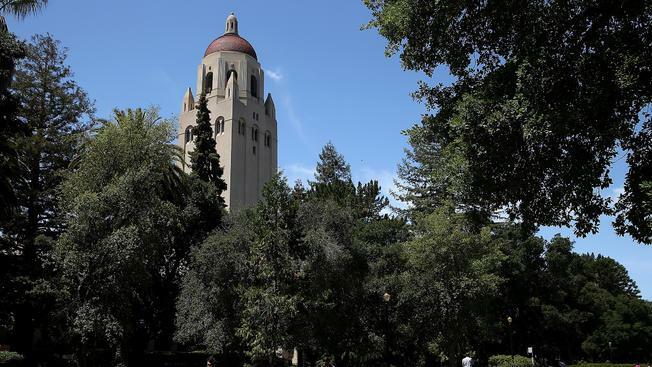 The Stanford Daily reports President Marc Tessier-Lavigne and Provost Persis Drell said in a statement that no other currently enrolled students, nor recently accepted members of the Class of 2023, were found to be associated with the nationwide bribery scandal. Nearly one dozen Bay Area parents have already appeared before a federal judge in Boston on charges related to allegedly paying bribes for their children to be considered athletic recruits and allegedly paying to better their test scores through various means. 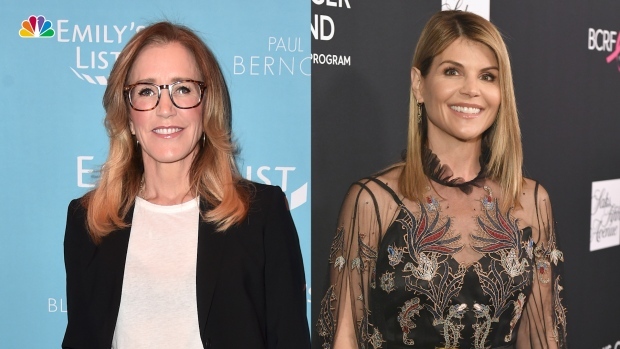 "Desperate Housewives" star Felicity Huffman and a dozen other prominent parents agreed Monday to plead guilty. In a statement offering her first public comments since her arrest, Huffman apologized, took responsibility for her actions and said she would accept the consequences. Actress Lori Loughlin, who played Aunt Becky on the sitcom "Full House," and her fashion designer husband, Mossimo Giannulli, are charged with paying $500,000 in bribes to get their two daughters admitted to the University of Southern California as rowing recruits, even though neither participated in the sport. They were not among those who agreed to plead guilty, and they have not publicly addressed the allegations. As the impact hits students whose parents are accused, the U.S. Attorney's Office says there still could be more arrests and charges.